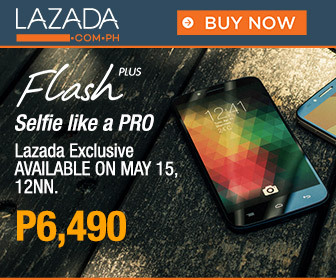 Are you waiting for the release of Alcatel Flash Plus in the Philippines? Good news YugaTech confirmed the release date and suggested retail price of the product. The original plan of release is May 1, 2015 but there are some things that needed to be cleared from different stakeholders which cause the delay. According to Mr. Abe Olandres owner of YugaTech.com, after several inquiries and follow-up with the vendor in the last several weeks, the release date is now scheduled for May 15. For those that who are not much familiar with this handset, here are the features and specifications. The distribution rights are exclusive to the online shopping website Lazada for three months. Only after the three month period you will see the product in shops and kiosk.